The Polarization Beam Splitter is a micro-optic device that can split one light into two polarized outputs with their polarization states orthogonal to each other. 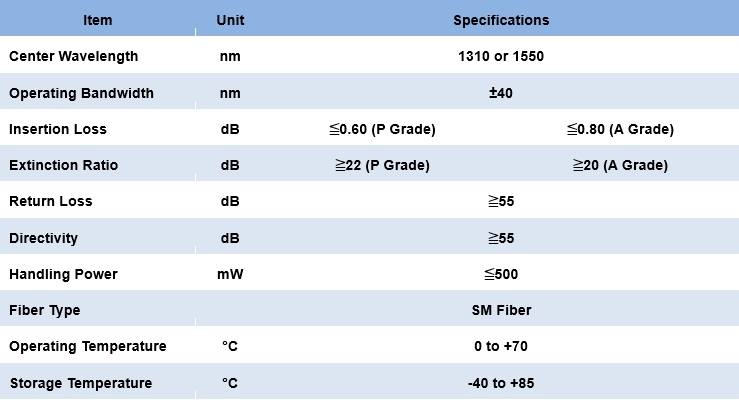 It is ideal choice for application in EDFA, pump lasers, and optical fiber sensors. the device is designed and manufactured to meet Bellcore GR-1209-CORE requirements.